Here are the notes for my Bible teaching on Sunday. Reflect and enjoy. These verses are profound to the Christian walk but so ignored today in the scheme of the church. and you will be my sons and daughters, says the Lord Almighty. We have failed to come out from among the world and be separate as Christians and instead are trying to conform the church into a mold that is acceptable to the world. This has caused massive spiritual apathy and anemia in the church and among believers. Spiritual apathy has crept into the church like a deadly virus and has infiltrated the hearts of most Christians hindering and destroying their witness for Jesus Christ and the fulfillment of His destiny for our lives. Nominal Christianity prevails in all too many pulpits as our church attendance looks nice on our resume or impressive when we talk about our social service, but lacking in any true life changing power. We have fallen asleep spiritually content to wind God up for an hour on Sunday and forget about Him the rest of the week. We will bring a couple cans of food into the church during a hunger drive or throw a twenty into the offering plate and think we are doing God a favor. This is not Christianity but a dead form of religion that has engulfed the modern church. We try to model the church after the culture and the world as God forbid we offend anyone as that is bad for church attendance and the church’s pocketbook. We have become so concerned about becoming accepted by everyone, we have forgot that we are to please God above all else not people. This type of Christianity rings with hypocrisy and has driven many a soul into the dark night of the world, searching for something that only God can satisfy. We have become about show on the outside instead of transformation on the inside and the church wallows in spiritual anemia and sickness polluted with the ways of this world. We have one foot in Christianity and one foot in the world and this formula for living never works if we want to truly serve God with all our heart and soul. Christians are fascinated with the world and look to the world to inspire them, motivate them, entertain them and satisfy them not realizing that according to the book of James the world is an enemy to everything that has anything to do with God. We cannot become those who seek in the world what is only found in God. The friendship of the world is the love of that world; of the maxims which govern it, the principles which reign there, the ends that are sought, the amusements and gratifications which characterize it as distinguished from the church of God. It consists in setting our hearts on those things (contrast Paul’s commands in the present imperative = Col 3:1, Col 3:2); in conforming to them (contrast Peter’s instruction in 1Pe 1:14) in making them the object of our pursuit (cp Demas – 2Ti 4:10) with the same spirit with which they are sought by those who make no pretensions to religion. When the world gets into the Church, the Church becomes a painted sepulcher; its spiritual vitality being extinct. What causes fights and quarrels among you? Don’t they come from your desires that battle within you? 2You want something but don’t get it. You kill and covet, but you cannot have what you want. You quarrel and fight. You do not have, because you do not ask God. 3When you ask, you do not receive, because you ask with wrong motives, that you may spend what you get on your pleasures. 4You adulterous people, don’t you know that friendship with the world is hatred toward God? Anyone who chooses to be a friend of the world becomes an enemy of God. 5Or do you think Scripture says without reason that the spirit he caused to live in us envies intensely? 7Submit yourselves, then, to God. Resist the devil, and he will flee from you. 8Come near to God and he will come near to you. In James 4:4 philia pictures the readers as adopting the interests of the world as their own personal interests. In a sense philia pictures one falling in love with the world and that if you do this you will begin to hate God! We simply cannot have an affection for the world and for God at the same time. It is either one or the other, but not both. Mayor writes that philia involves “the idea of loving as well as being loved”. “The world (kosmos) does not refer to the material creation but rather to the mass of unredeemed humanity as an egocentric world-system that is hostile to God. It is “a mighty flood of thoughts, feelings, principles of action, conventional prejudices, dislikes, attachments, which have been gathering around human life for ages, impregnating it, impelling it, moulding it, degrading it” (Liddon). Its central aim is self-enjoyment and self-aggrandizement in disregard of or in open hostility toward God. To cultivate the world’s friendship implies conformity to its principles and aims. To be controlled by the spirit of worldliness is wholly incompatible with loyalty to God. It is like the ivy with the oak. The ivy may give the oak a grand, beautiful appearance, but all the while it is feeding on its vitals. Are we compromising with the enemies of God? Are we being embraced by the world by its honors, its pleasures, its applause? This may add to us in the world’s estimation, but our strength becomes lost. Elijah came near to all the people and said, “How long will you hesitate between two opinions (they were choosing to combine worship of Jehovah with worship of Baal)? If the LORD (Jehovah) is God, follow Him; but if Baal (Hebrew means “lord, owner, possessor, husband”, the Canaanite male god of fertility), follow him.” But the people did not answer him a word. (1Ki 18:21). 11Never be lacking in zeal, but keep your spiritual fervor, serving the Lord. Apathy and lowered motivation are the most widely noted characteristics of a civilization on the downward path. Apathetic men accomplish nothing. Men who believe in nothing change nothing for the better. Awaken from sleep – No Christian should be asleep, yet the ordinary life of most of us is but a drowsy state of spirituality compared with what it should be and what it would be if our Christian hope (certainty) were perpetually present in our minds to spur us onward. In Ephesians 5:14 Paul is speaking to the “spiritually asleep” believers. What do Christians look like who are “asleep” in this way? I believe such “spiritual slumber” shows itself in a slackening of the intensity of their faith. They may read their Bibles, but not with much excitement or application. They don’t “tremble” at God’s word (Isaiah 66:2). They may pray, but not with much earnestness, or effectiveness, or expectation (James 5:16). They may go to church, but only as “spectators” and “consumers”, and not as a properly working part of the Body that contributes to its growth (Ephesians 4:16). They may be around non-believers, but they’re not excited enough about their own faith to present it to others as “ambassadors of Christ”” (2 Cor. 5:20). They’re saved; but are just sort of taking a spiritual siesta all the time. “Sleep” is the perfect word to use to describe the state of a passive, uninvolved, indifferent Christian. Great potential is there in them; but there’s nothing happening. Revelation 2:4- 4Yet I hold this against you: You have forsaken your first love. These are the words of the Amen, the faithful and true witness, the ruler of God’s creation. 15I know your deeds, that you are neither cold nor hot. I wish you were either one or the other! 16So, because you are lukewarm—neither hot nor cold—I am about to spit you out of my mouth. Flame is the air in which true Christian experience breaths. The lees are the sediment that forms during the fermentation of grapes. They eventually sink to the bottom where they harden. Metaphorically, “settled on their lees” indicates floating, taking it easy, and having a very leisurely, casual approach to life. In the actual wine vat, the lees harden in due course, and they then picture an unacceptable, “hardened” lifestyle. A person who is “settled on his lees” is one who, through spiritual idleness and ease, has gradually become morally indifferent, tolerant of his lack of spiritual drive, and ultimately hardened to God and sin. In the process, he becomes blind to his spiritual state. Zephaniah 1:12 goes on to say that one who is settled on his lees has reasoned himself into what amounts to practical atheism. He is saying by his conduct that God is not really governing or judging and that there will be neither reward for obedience nor punishment from sin. How far from God this person is! Thus, he gives himself over to his pleasures. A Laodicean is a person straddling the proverbial fence. He has saving knowledge of God, but he is attached to the world and afraid to let go. He has deceived himself into thinking that he has found the perfect balance. He is convinced that he has the best of both worlds. This is a warning to us—that the iniquity that is in the world will cause a loss of love in the church. We are living in a period in which the stresses against the church—from the world—are increasing. As they increase, it can have the psychological effect—because we begin to get weary of dealing with it—of becoming apathetic, that is, without feeling for what we formerly loved so dearly. So the iniquity is in the world, but resisting it is a constant stress because it exerts tremendous pressure through an appealing façade—to give in and go along with it. 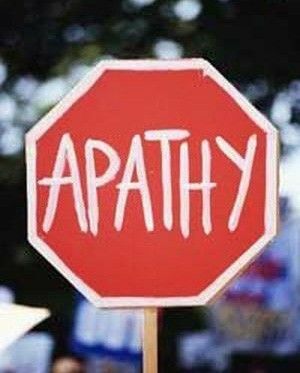 As we live with it and everybody else is doing it, it gradually becomes acceptable behavior in the world, thus giving evidence that apathy is taking over. The most miserable people are professing believers who will not commit to the Lord Jesus. They do not have the best of both worlds but the worst (See Jesus’ clear teaching on “two masters” Mt 6:24 If as Christians we try to walk the tightrope of compromise and partial obedience, we will not know spiritual victory and God’s blessing. We will know the bitterness of defeat and frustration in our Christian lives. Do you know spiritual victory in your life? Do you know God’s blessing in your life? I am not talking about a trickle of blessing here or there but the fullness of God’s blessing flooding into every area of your life. What Time Is It?-There are many ways of keeping time. Let’s look at three of them. The first is called “world time.” For many years this was how the world set its clocks. World time was determined by the relationship of the earth to the sun, and it enabled man to measure time by the movements of the heavens. A second way of keeping time was adopted in 1972 when the switch was made to “atomic time.” This method measures hours, minutes, and seconds not merely by the big picture of the heavens but by the highly accurate vibrations of the atom. Then there’s a third method. It’s based on our relationship to God, and His timekeeping is perfect. Let me explain. When we recognize our accountability to God, we see that now is the time to surround ourselves with the values, thoughts, and attitudes of the Lord Jesus Christ (Ro 13:14). We become aware that our eternal rescue is closer than ever before (Ro 13:11). Because of our relationship to the Lord, we should heed the warning that time is running out for this world (Ro 13:12). If we are going to live honestly and lovingly, we must do so now! As you look at the clock today, remember that you should also figure time by your relationship to the Lord. –M R De Haan II (Our Daily Bread, Copyright RBC Ministries, Grand Rapids, MI. Reprinted by permission. All rights reserved). Access to God is clearly only the beginning of a process, and what follows is termed in the Bible as “sanctification,” during which the relationship and salvation are brought to full maturity. God is not in the business of saving people just for the sake of saving them. He is in the business of saving and creating His character in us. This is where my final sermon of the Feast comes back into the picture, because our responsibility in this process of becoming one with God is to seek God. Matthew 24:12 Because of the increase of wickedness, the love of most will grow cold,This is a warning to us—that the iniquity that is in the world will cause a loss of love in the church. If we understand the progression of events in Matthew 24, then verse 12 speaks of the time of the Tribulation. We are leading up to that, living in a period in which the stresses against the church—from the world—are increasing. As they increase, it can have the psychological effect—because we begin to get weary of dealing with it—of becoming apathetic, that is, without feeling for what we formerly loved so dearly.So the iniquity is in the world, but resisting it is a constant stress because it exerts tremendous pressure through an appealing façade—to give in and go along with it. As we live with it and everybody else is doing it, it gradually becomes acceptable behavior in the world, thus giving evidence that apathy is taking over.We need to look at every aspect, even in areas we may consider “minor things.” How do they dress? What kind of music do they listen to? What are the world’s movies like? What are their attitudes in dealing with each other—in stores, on the street, in communities? In many places, we can hardly get anybody on the street to greet us! There are many little behaviors like this. The iniquity is in the world, but it pressures us into doing things as it does—and then it becomes our behavior.This is just hypothetical, of course, but what if we evaluated ourselves against the world ten years ago and judged that we were 50% more righteous than the world. Then today, we did exactly the same thing, and figured that we are at least 50% more righteous than the world. However, if the world had become more unrighteous during that same period, then, even though we may be 50% more righteous than the world now, we have actually gone backwards in those ten years—right along with the world! Galatians 6:9-10 If somebody who was known to you—maybe even somebody who was close to you—came up to you, and seemingly with no provocation whatsoever, punched you right in the nose and you fell on your backside—of course, wondering “What in the world is going on?”—the chances are that the very first emotion that would hit you would be one of surprise. “What did I do to deserve this?” You would be ready to gather yourself together, and get up on your knees. As one foot is pushing you up off the ground, and just as you get up again—wham!, right in the ol’ kisser. By now, the attitude is beginning to change. It is no longer surprise. You begin to feel the color coming up in your neck, and maybe the hair standing on the back of your head. Anger is beginning to surge into you.Nonetheless, you get up again. Just as you get on your feet—wham!, right in the nose again. By this time the anger is giving way to rage. Still, you gather yourself together and stand up again, and, wham!—you get hit right in the kisser again, and down you go. Now the rage is beginning to give way to another reaction. Another emotion is beginning to enter your mind, and you are beginning to think, “When is he going to quit? When will this end? I can’t stand it much longer.”But you drag yourself again, just as you confront the problems that hit your life. You gather yourself and you get up. Just about the time that you get steady on your feet, whoop!—right in the kisser you get hit with another one, and down you go. Eventually, brethren, you are going to come to the place where you think, “I don’t care what he does any more. I just wish he would stop.” You will have reached the point of apathy. You no longer care.That was described by Abraham Maslow, and it is a true cycle. It is a series of emotions that we go through when we are hit by a seemingly unending set of pressures. We eventually become apathetic to what is going on around us, and we stop caring.That is what happened to the people in the book of Hebrews. It was not a bloody persecution. It was constant pressures being applied to the mind: Economic pressures, health pressures, persecution on the church pressures, social pressures, family pressures—you name it—one coming right after the other in a wave that never seemed to end. We need to confront this because things are not going to get any better! The pressures are going to continue to build. We had better have a Resource that we can go to in order to weather the storms of psychological damage that might be inflicted upon us because we have nothing to resist the tribulations (pressures) that are coming upon us.Apathy has an effect: we not only no longer care about life itself, but we no longer care about God. It begins to wane.Apathy makes a person feel tired, like not doing anything. But there comes a time when we have to ‘buck it up’ and sacrifice ourselves, and push ourselves, and do right things that we do not want to do, and not allow the weariness to overtake us. That kind of psychological weariness can make us sick of body, so that we will not be able to do anything.Doing good is a witness that God wants from us. He knows how much we can bear, and He wants to prepare us for the things that are coming. So trial upon trial upon trial is going to come upon us. It is part of the preparation that we have to go through, to see whether or not we are going to endure to the end (Matthew 24:13). In this closing section then Paul sets off an alarm clock to waken believers who have gone to sleep spiritually. The world lives as though human history were destined to continue for ever. The gospel’s sure promise of an endless life in glory in the Kingdom of God as the Father’s spirit-composed children and Jesus Christ’s brothers and companions seems so appealing and captivating that one wonders why we would need more motivation than the anticipation of its fulfillment. History and even our own reflections on our personal experiences prove that we need additional stimulation. The Israelites’ forty-year trek through the wilderness after their release from Egyptian slavery also provides a persuasive record. Of the over two million or so Israelites age twenty and above who left Egypt, only two men, Joshua and Caleb, are named as entering into the Promised Land! The Israelites were burying the bodies of those who failed until the time they crossed the Jordan River. Hebrews 4:1-2 admonishes us not to fall into the same manner of living. The struggle to achieve some noteworthy goal is a popular theme for many inspirational biographies, novels, articles, and movies. In the late 1800s, Horatio Alger became famous by authoring a string of “rags to riches” stories that featured characters who, through pluck, grit, ingenuity, and seemingly tireless energy, overcame multitudes of problems to achieve success in the end. The characters in his stories never resorted to deceit or thievery, even though they confronted such vices. They always made their way in a righteous manner. Many inspired readers used them as role models for what they hoped to achieve. Not much has changed in the intervening time. People still find hope and inspiration in hearing the success stories of others, especially if they are dealing with true-to-life issues. One can buy “success” manuals in virtually any bookstore. Lecture circuits teem with those who are willing to sell their formulas to those who want to hear their testimonies. It is because God has demanded that we live by faith (Hebrews 10:38-39). Thus, the “out of sight, out of mind” principle provides an almost constant resistance, testing whether we have a proper and purposeful direction to our life. Since Jesus Christ was not in them, they did not have the faith of Christ, but our God is able to “supply all [our] need according to His riches in glory by Jesus Christ” (Philippians 4:19). The reality is that we have far more working in our behalf than they. We have no valid reason to fail. So be patient! Guard against being emotionally drawn to insignificant things. Every single one of us has a part in this drama unfolding on earth. Men come and go, but Jesus Christ is the real Leader, and He is “the same yesterday, today, and forever.” He is permanent. His preeminence and leadership are forever. What is more, He is faithful in following the patterns that He has established in His Word. Take heart! Fight the problems that arise. Do not give into the apathy that the world induces. Teach me God to number my days and have passion to take each day as a precious gift from you to love and serve you above all else. This entry was posted in Bible Teachings, Inspirational Messages and tagged apathy for Christ, dont be conformed to world, enemy of God, friend of world, laodecian church, lukewarm christians, patterns of world, problem of spiritual apathy, sold out to christ, spiritual apathy in church, what does world mean in Bible, world or Christ, worliness in church. Bookmark the permalink.